Excellent home ... 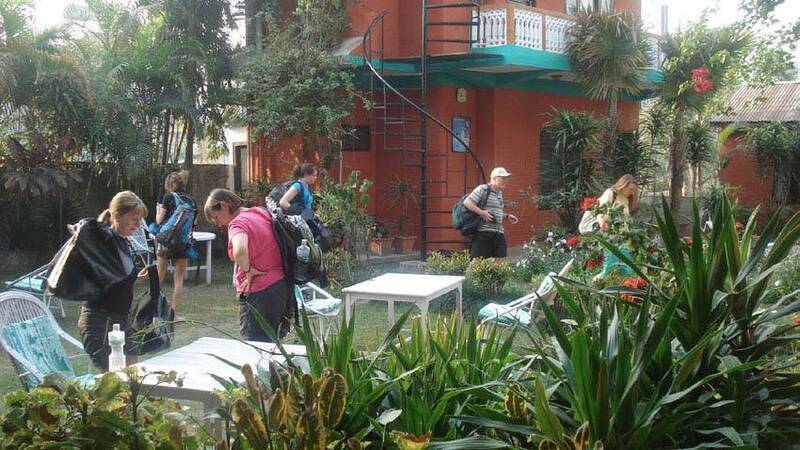 It's a pleasure to stay at New Pokhara Lodge during our visit to Nepal for the ABC trek. It's near the lake side so we can take relax walk after returning from the tired trekking.Breakfast is excellent.Staffs are nice and helpful. The lodge lies on the shores of Pokhara's largest Lake. Sufficiently set back from the main road to guarantee peace, quiet & privacy, there are just 16 rooms all with attach tiled toilets and 24 hours hot and cold running water. 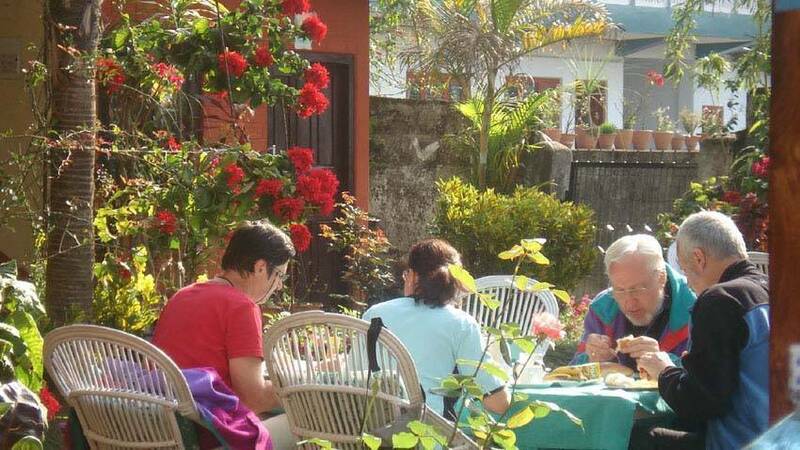 The Lodge is built around one of the best gardens in Pokhara. There is a sun terrace from where the mountain to the north or Lake Waters to the south may be viewed and you can get a cold beer or a hot cup of coffee while you relax. All the rooms have en-suite tiled bathrooms and toilets, hot running water and wall to wall carpeting are tastefully decorated. Each room is equipped with cable TV broadcasting CNN, BBC, ESPN, Star sports , AXN and Star Movies, India's Doordarshan, Australian TV & Nepal TV. Long distance phoning, email e-mail service are also available. We offer free internet to check emails. 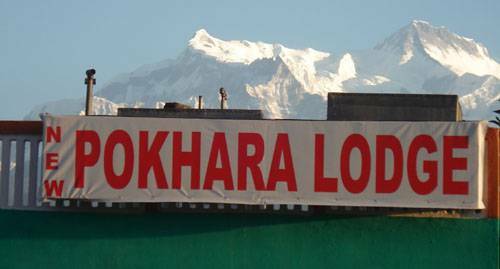 Our trip to Nepal has been unforgettable and our stay here at New Pokhara Lodge has been wonderful. We enjoyed our walk today with Mahendra all the people here are was very helpful. Thanks to you all ! Anne Robichaud(USA) A Tour Operator in Italy. A good base for Medical elective students working at Manipal Teaching Hospital Pokhara and The Western Regional Hospital Pokhara . On the main bus routes whilst also being in Lakeside Pokhara. Many thanks for your kindness + hospitality over the past 6 weeks. New Pokhara Lodge has been a wonderful, relaxing place to stay. Thanks again Neil and Claire . Most of the rooms offer Beautiful Mountain Views. Offer single bed rooms, double bed rooms, and triple bed rooms. Standard room with attached bathroom, malty-channel cable television, free high speed wi-fi internet, 2 beds (1 bed is 3 feet wide and 1 bed is 4 feet wide). Deluxe room with 2 beds (1 bed is 3 feet wide and 1 bed is 4 feet wide). 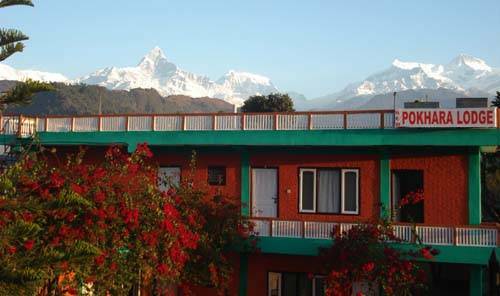 Malty channel cable television, free high speed wi-fi internet, Air-con, tub bath & shower, 2 windows, some rooms with great Himalaya mountain view. The lodge lies on the shores of Pokhara's largest Lake. Sufficiently set back from the main road to guarantee peace, quiet & privacy, there are just 16 rooms all with attach tiled toilets and 24 hours hot and cold running water. 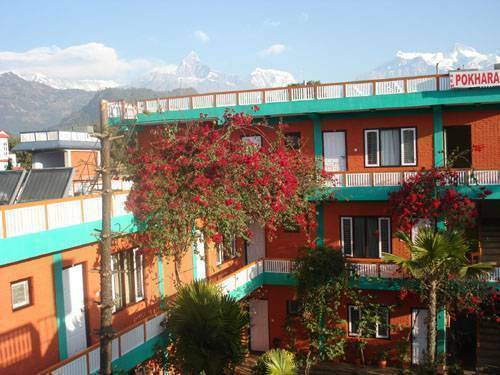 The Lodge is built around one of the best gardens in Pokhara. We have just 14 rooms. We don't want to waste room so we charge 100% cancellation charge. Payments has to pay at hotel counter at the time of arrivel. 100 % amount charge if no show up. We are located at Lakeside, 2. 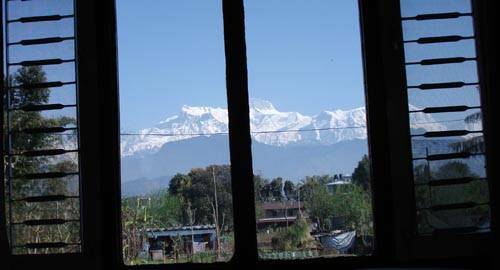 5 Kilometers from Pokhara Airport and 2 Kilometers from Pokhara Tourist Bus Park. We are opposite of the world famous Fishtail Lodge and Basundhara Public Park Lakeside.